We have been running an annual cycle race for years. Last year, the date fell on Jef’s birthday so we renamed it ˜The Jef Schils Memorial Race. We ran the race as a National B with 70 riders, starting at 2pm at The Best Western Marks Tey Hotel with the finish and hot spot primes opposite The Hare and Hounds Pub in Layer Breton, Colchester. Along with making the race exciting for the riders, our aim was also to bring the non cycling community in to support the race as well. We had a large beer tent with music and full commentary at the finish area, Go ride racing, a bouncy castle and BBQ for everyone to enjoy. Despite the weather, it was very successful. This year, we want to make The Jef Schils Memorial Race bigger and better. We have been granted National A status (E/1/2) which is the top status in the UK and can get 100 racers in the 147km race. 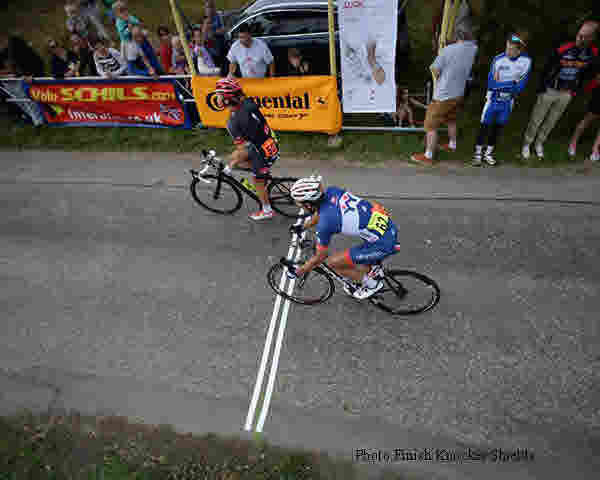 It will be on 2nd September 2012 and will attract some of the best cyclists in the UK. The Headquarters will be at The Marks Tey Hotel in Colchester and the finish and hot spot sprints will be again opposite the Hare and Hounds Pub. Jef was born at Kersbeek-Miskom on 4th September 1931 and died at Zellik on the 3rd of March 2007. As a cyclist he quickly made an impact. As a youth, he won 87 races. In the Independent category he won 18 of the 19 races in which he started - the only one he didn't win being the Belgian Championship where he broke his frame. 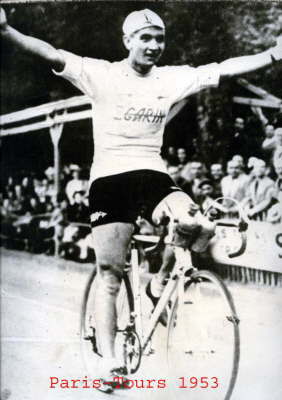 He became National Professional Belgium Champion in 1952. As a 20 year old, one day before he had to start his 2 year Military Service, despite his limited training opportunities because of his military service, in 1953 he won the 293km long Paris-Tours with a record average of 43.53 km per hour. Despite the many set backs in his career he won 108 Professional road cycling races amongst them many semi-classics. His nickname was “Little Coppi”, because the great Fausto who regarded him to be one of his best friends. Eddy Merckx claimed that because his father was a great supporter and took him to watch Jef race it stimulated his desire to start racing.